Ready for a non-clothing project? Just to make sure this blog isn't completely taken over by clothes-sewing. :) I made these for a baby shower a couple of months ago and hadn't gotten around to posting them yet. Since Daddy's Girl was born, I've had less time for projects, as you can imagine! So even though I like making tutorials for all of you, the choice has been between making a tutorial and actually finishing a project. Obviously tutorials lost. This project is super-simple, though, so here's a mini-tutorial. Start off with a couple of plain cloth diapers. (I got mine from Walmart, in the baby section.) 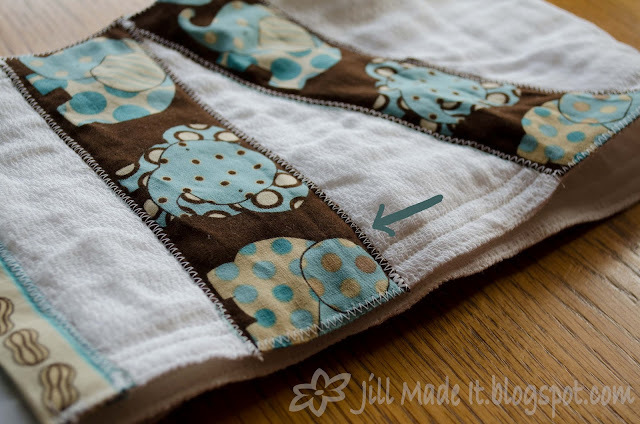 Get the pre-folded kind, though, unlike me, since they wrinkle less and are a good burp cloth shape to start with. 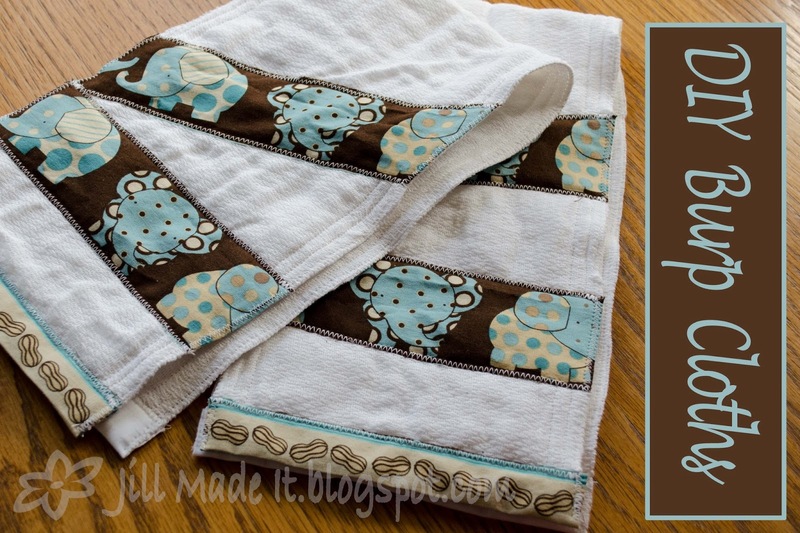 Decorate with some scraps of cute fabric, and you're done! I just zig-zag appliquéd these cute little elephants onto the burp cloths, like in this tutorial, only simpler, since it's just a rectangle! For a more finished look, I also bound the two short ends of the cloths with some non-bias cut 'bias tape' made from a different part of the same fabric scrap as the elephants. 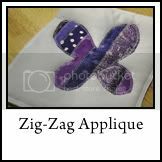 If you need a little help with binding or zig-zag appliqué, click below. 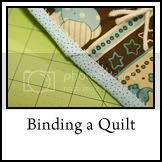 Now, since you're binding only two edges, rather than all four, it will be a tiny bit different than in the quilt binding tutorial--just cut the bias tape an inch longer than the length of the side you're binding, fold the two short sides 1/2" in so it ends up the same length, and then proceed as normal.